Jimmy Graham poised for a big year? Jimmy Graham suffered what many thought could be a career ending hip injury toward the end of 2015. And even before that point, he had been an inconsistent target in the Seahawks offense. So expectations were extremely low entering 2016. But Graham proved the doubters wrong collecting 65 catches on 95 targets for 923 yards and a career high 14.2 yards per reception. It was good for the fourth highest point total among tight ends in standards scoring leagues. Jimmy Graham's current average draft position is 5.11 overall in 12-team standard mock drafts. 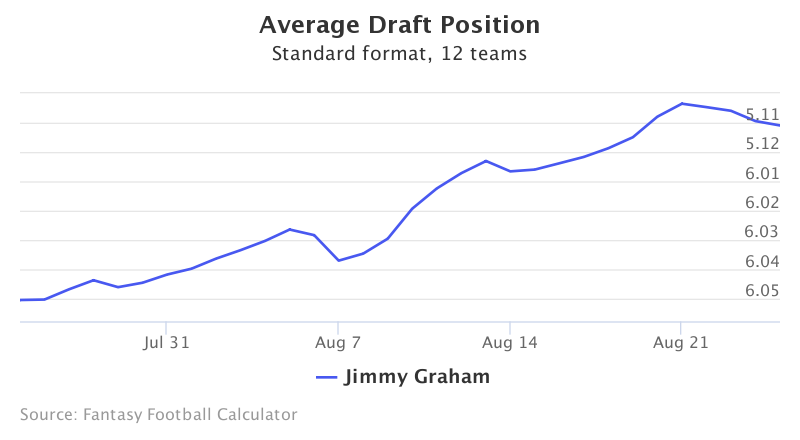 Graham's ADP has been steadily rising over the past month with growing practice buzz. Jimmy Graham's surprise season in 2016 provides a lot of optimism heading into 2017, something that is reflected in his rising ADP. Despite Russel Wilson having the worst year of his career, an offensive line that was an utter disaster, and no rushing game to speak of, Graham still managed to put together a top four performance. Unfortunately the offensive line will likely continue to struggle, but one can expect Russel Wilson to rebound. Remember this was a top three fantasy quarterback two years ago behind a shaky line. On top of that, Wilson and Graham spent the offseason working out together and Pete Carrol stated Graham "feels the best he's felt in years." Add in that the man throwing him the football just said that he will have a big year, and Graham looks like a solid upside pick. 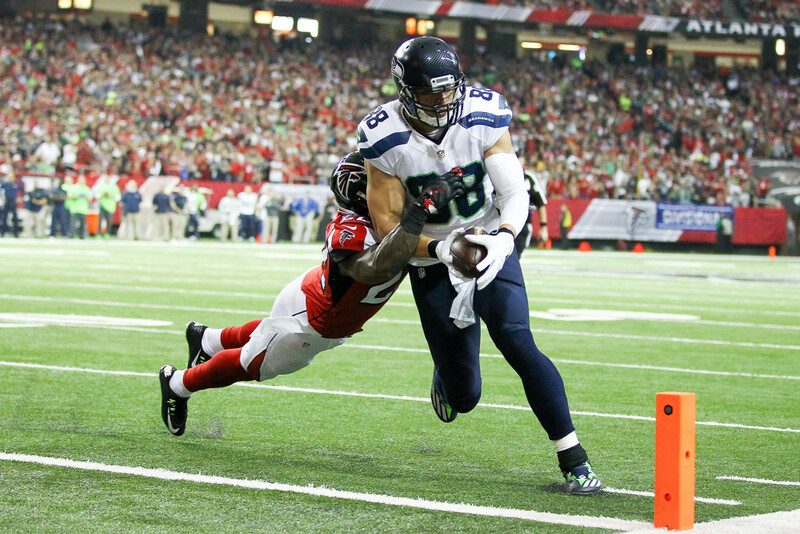 Entering his eighth year as a pro, Jimmy Graham looks poised for a big year. He is fully healthy and has an established rapport with his quarterback. The Seahawks' offense will not be a premier unit, but should score more often than 2016. With these developments in mind, Graham's previous year output appears to be his floor and a top 3 finish at the position seems guaranteed barring injury. He is undervalued at his current 5th round position as the 5th tight end off the board.